X-12 Hydro Extractor- Bortek Industries, Inc.
X-12 Hydro Excavator Trucks use state-of-the-art water pump and vacuum technology to safely locate and expose any type or size of underground utilities. 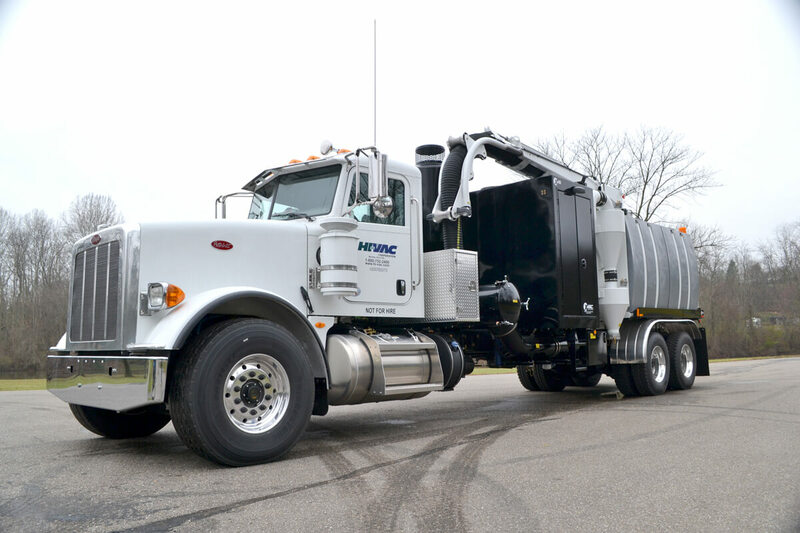 Soil, sand and rock are quickly, safely and neatly excavated. 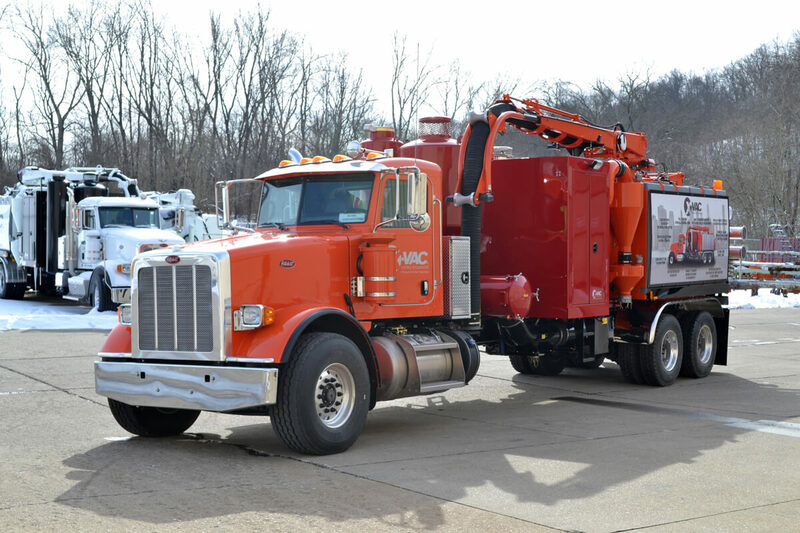 Risk of underground utility strikes is virtually eliminated. 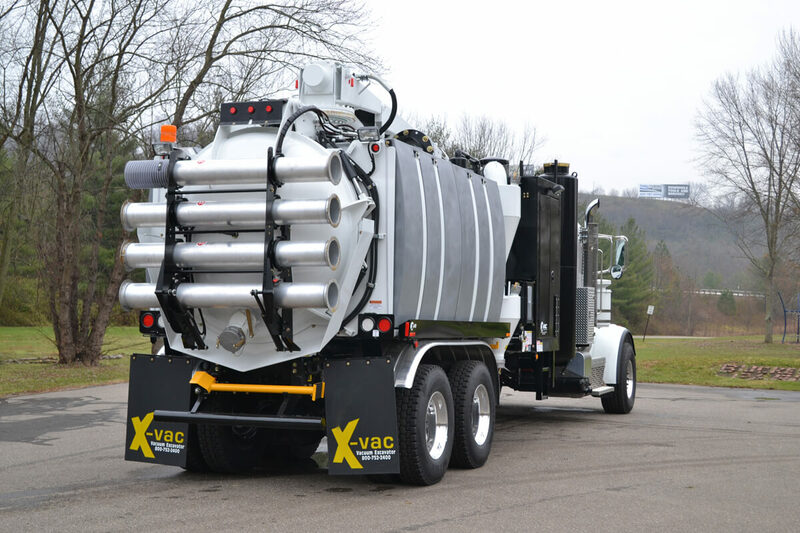 The re-circulation system of X-Vac hydro trucks keeps heated water moving continuously to prevent freezing in cold temperatures. 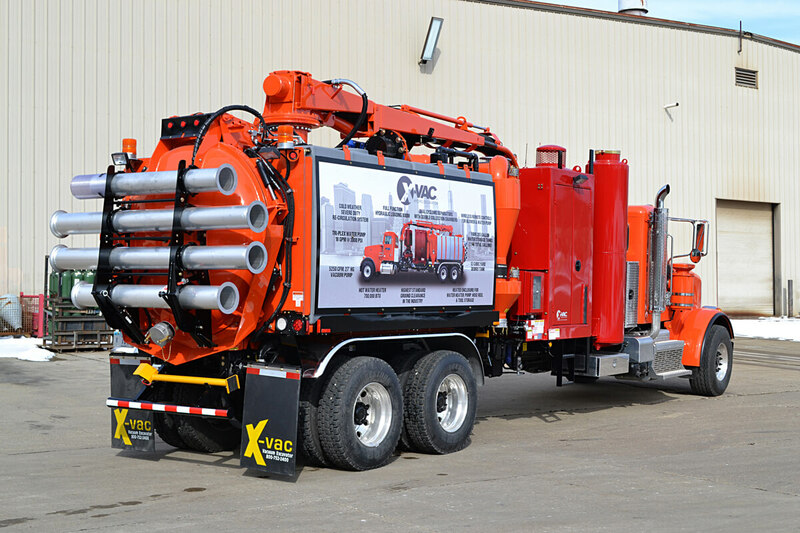 X-Vac’s Hydro Excavator Trucks are precision-engineered so that air and water volumes can be independently controlled to provide the ideal mix for any application. 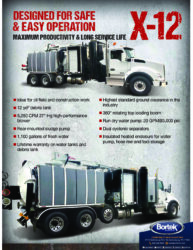 The X-12 Hydro Trucks reduce labor costs as only one or two technicians are required. 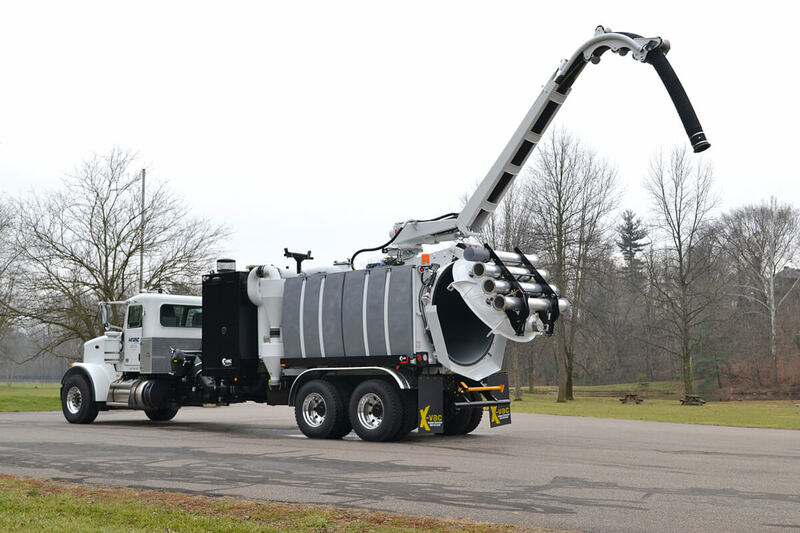 These hydro excavating systems feature a low-profile debris tank that provides lower center of gravity. 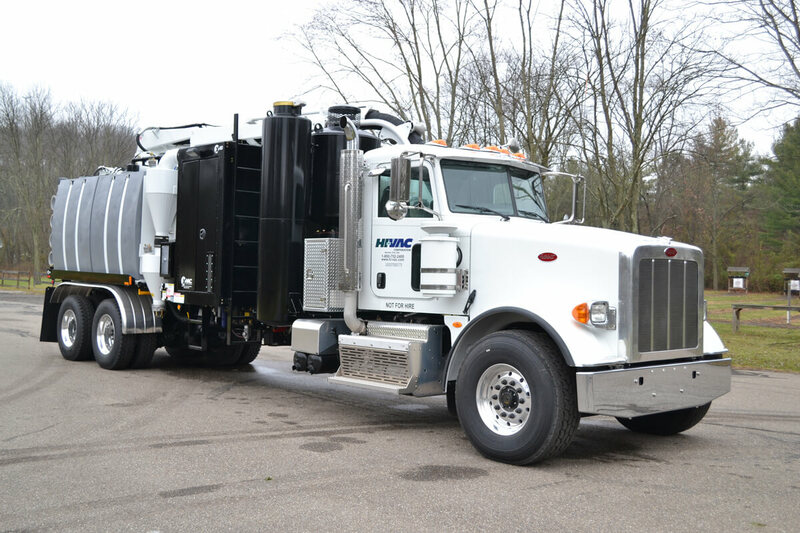 The rear door opens fully for easy clean-out of the excavating equipment. 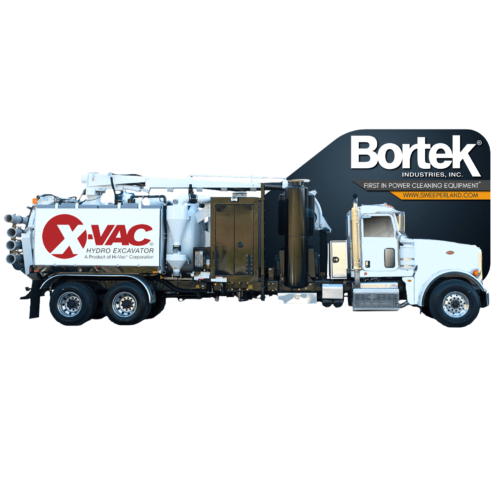 The X-12 features dual cyclone separators each with a material drop-out box for efficient material separation from the air stream. 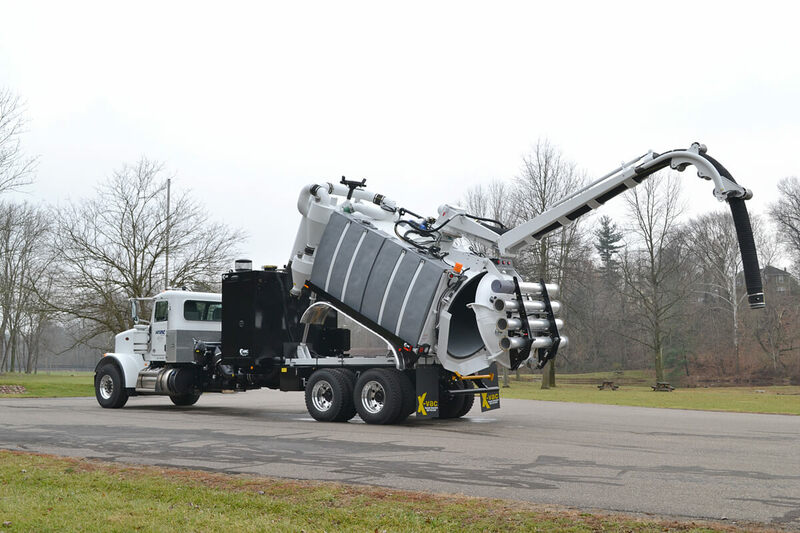 All boom hydraulic functions can be operated by remote control. 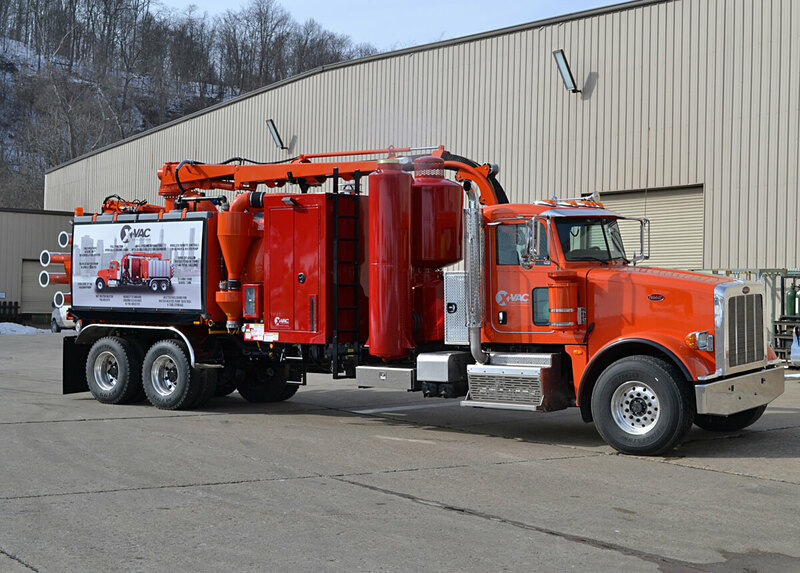 The Hydro Excavation Truck’s vacuum producer and water pump are independently controlled. 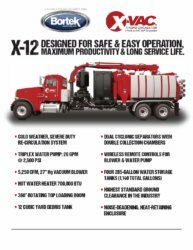 The X-12 offers minimal breakdowns and less downtime due to high quality construction and components.